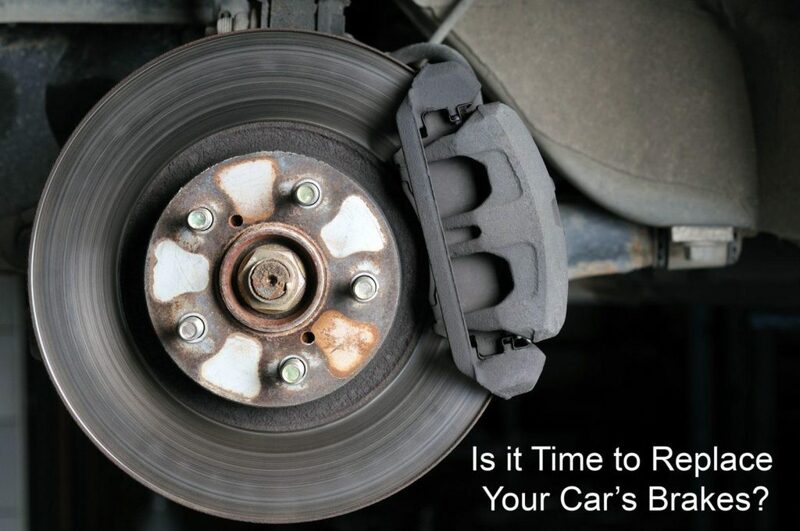 Is it Time to Replace Your Car’s Brakes? The braking system is your car’s most important safety component. And like every other mechanical aspect of your car, the entire braking system needs routine maintenance to ensure everything is fully functional and in top running form. If there are any issues with your breaking system, you will notice a few signs which could indicate a potential issue. If you notice any of the following signs, it is best to have your brakes checked by a professional car technician as soon as possible. If you hear a high-pitched squealing or grinding sound it is a strong indicator that the car’s brake pads need to be either replaced or adjusted. Brake pads have a wear indicator which is essentially a metal plate and this plate scratches against the brake disc when the pads wear out; this is what produces a screeching sound. The grinding noise happens when the brake pad’s wear indicator is completely worn out and the backing plate of the brake pad starts grinding against the rotor. At this point, braking will be less effective, and you should have the rotors replaced. If you notice vibrations in the steering wheel or brake pedal any time you brake, it could be due to an issue with the brake rotors. Damaged rotors impact the brake pads, increasing their wear rate. Damage to the brake pads due to wear undermines its ability to function properly. The steering can also vibrate due to a misalignment of the wheels. In either event, it is best to have your brakes checked out as soon as possible since both issues can affect your safety while driving. Every time you engage the brake pedal, brake fluid helps in passing on the force from the pedal to the brake pads. The greater the wear of the brake pads, the greater the amount of fluid needed for generating the required force for slowing down or braking. So, if your car is low on brake fluid, the transfer of force from the pedal to the brake pads will be reduced. You might also notice that each time you engage the brake pedal and it hits the floor, it could be because the brake pads have worn out. In addition, the issue could be the hydraulic system. If your car brake pads come with electrical sensors, then the brake pad warning light on your dashboard will light up. The warning light flashes when the brake pad reaches a specific wear limit. It is important to note that the brake warning light could also indicate an issue such as low brake fluid. If you are unsure what’s causing the warning light to come on, then consult with a professional car technician. If you notice that your car veers to or pulls to one side any time you hit the brake pedal, it is a good indication that all is not well with the braking system. This action could happen for any number of reasons including poor alignment, uneven brake pads, worn out tires, or a collapsed brake hose. If you notice your car pulling to one side, schedule an appointment with a professional mechanic as soon as possible for an accurate diagnosis of why this is happening. This needs to be fixed – it is a serious issue. A fully functional braking system is a crucial safety aspect for any car and driver. If you notice any of the above-mentioned issues, have your car checked by a professional mechanic ASAP. Braking problems could be due to any number of factors which is why an accurate diagnosis is essential. Timely repairs and maintenance can help you avoid potential driving risks and high repair costs in the future. Work with Mechanics You Can Trust! If you have noticed any of the above-mentioned symptoms while driving your car, have your car checked up by professional mechanics you can trust. Accurate Service’s professional mechanics can help diagnose the exact issue and provide you with a resolution. We are experts in all kinds of car repairs. Give us a call today at 520-620-9129 or schedule an appointment online at your convenience!